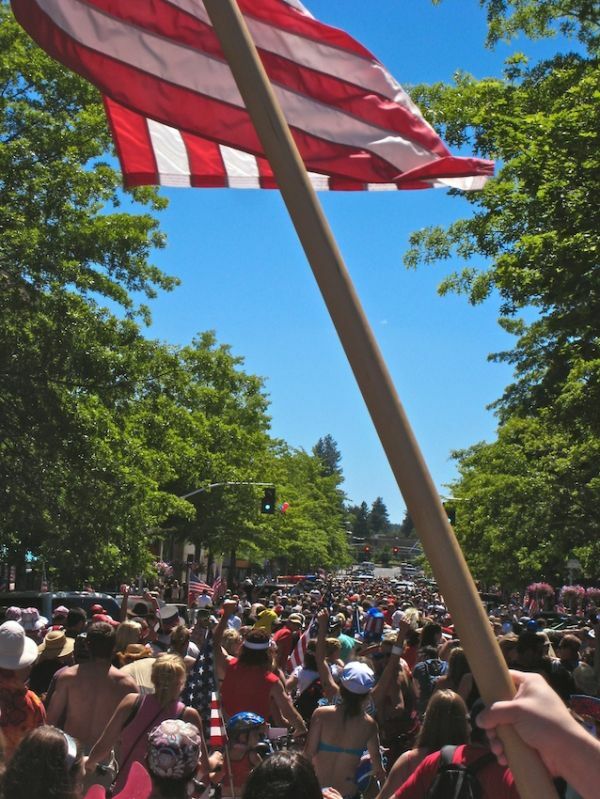 Because Bend, Oregon was recently awarded the title of “Best Trail Running Town” in the USA, our trails have received a fair amount of recognition. 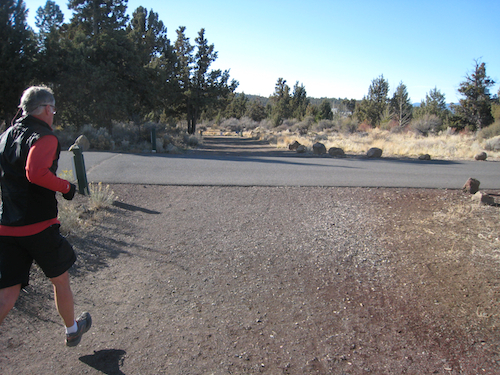 As Bend is largely surrounded by BLM and National Forest land, we Bendites are blessed with hundreds of miles of trails for the purpose of Trail Running, Mt. Biking, etc. This is now surprise. What may be a surprise to outsiders is the fact that we have some wonderful trails within the city limits. 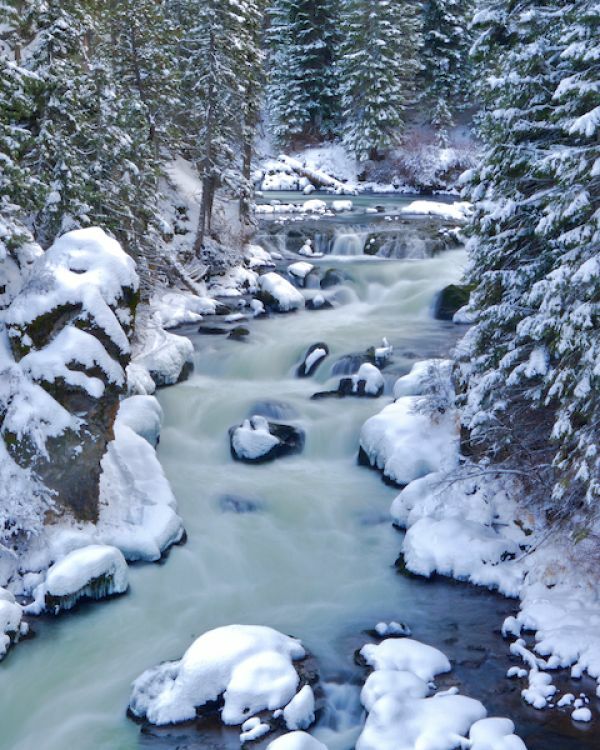 We give the in town section of the Deschutes River Trail because it can be easily accessed at the First Street Rapids trail head which is very conveniently located in downtown Bend, on…you guessed it, First Street. 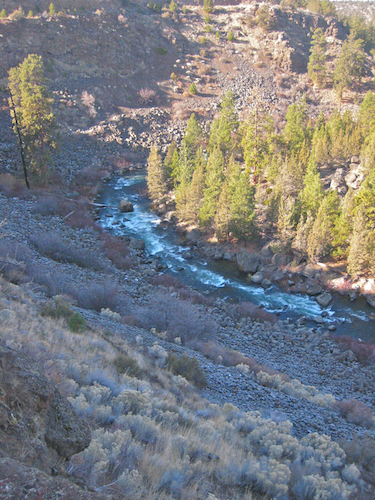 These rapids are a favorite play area for urban kayakers, but they are just the beginning of the fun along the Deschutes River Trail. 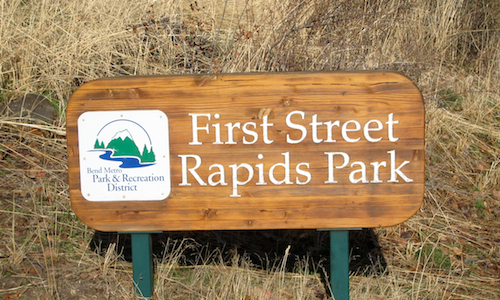 For the purposes of this trail review, we chose an out and back route along the River Trail, starting at the First Street Rapids. 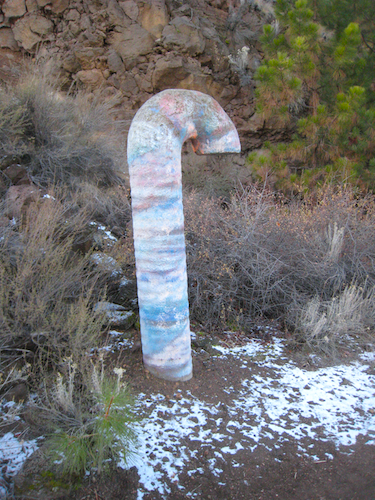 From the small parking area, follow the very obvious trail downstream along the placidly flowing Deschutes River. 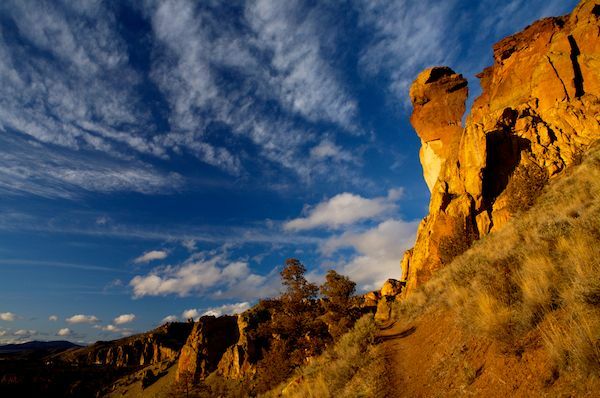 The trail ambles through a wide shallow canyon with occasional cliffs above for about a mile before the first real hill. 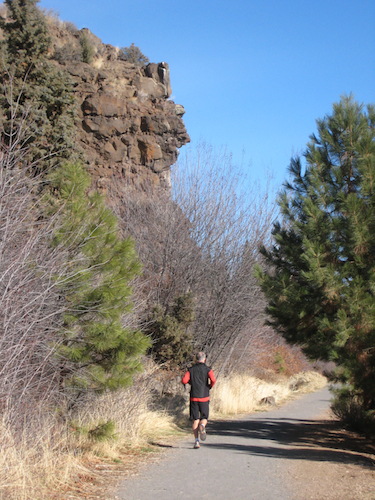 Trail runner running along the Deschutes River Trail in Bend, Oregon. This first peaceful first mile of the River Trail is a good place to spot wildlife. 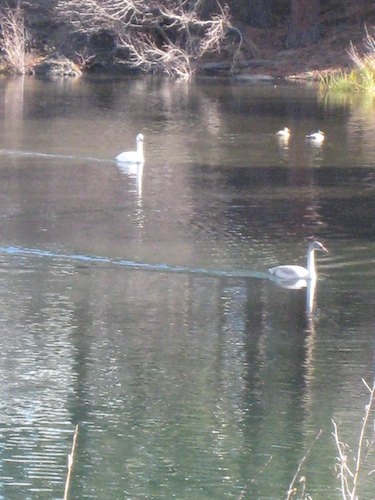 There is typically a pair of swans that return here every year along with countless other waterfowl, otters, osprey, and even mule deer. 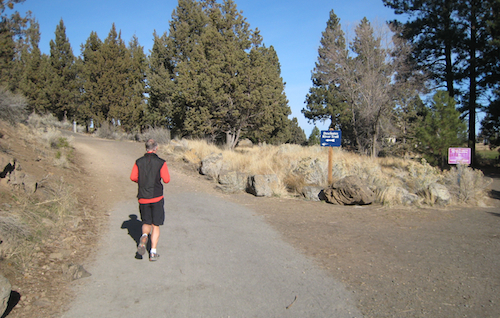 This is probably a good place to give a big shout out to the Bend Oregon Parks and recreation Department who do a great job of maintaining this section of the River Trail. They re-surface the trail in this area recently and they honestly did a great job. 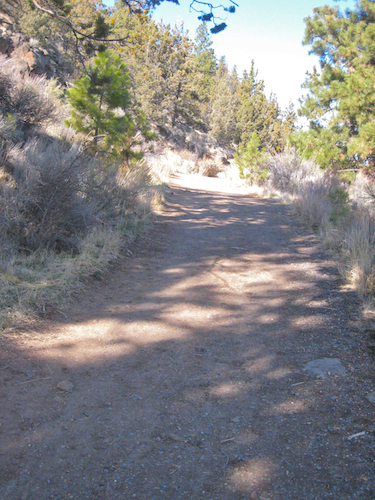 The trail is firm but forgiving and friendly to runners and bikers alike. 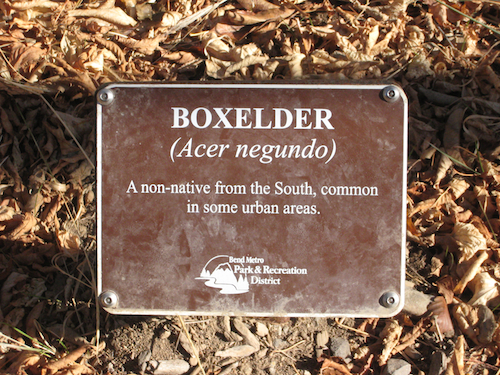 in addition to the excellent trail surface, thay have also installed some simple but attractive plant identification sign such as the one pictured below which is dedicated to a friend of Bend Wild who we’ll refer to as Squishy Wild. Despite being a golfer and hunter, we still love Squishy! Don’t worry, he only hunts cougars. At about the one mile marker, the trail bends to the left and up a disappointingly steep hill towards Mt. Washington Drive. on teh flanks of Awbrey Butte. Stay to the left at this section of the River Trail to avoid the golf course. Follow the well marked signs up the steep but short hill and then run down hill while paralleling Mt. Washington Drive. At the signage cross Mt. Washington Drive and follow the trail through River’s Edge Golf Course. 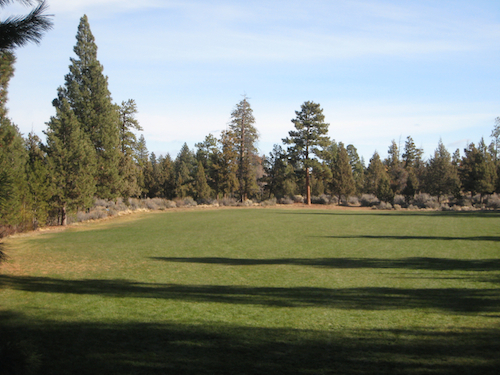 About a half mile further and you will reach Sawyer Park on the right side of the Trail where you will see a large attractive grassy lawn where woodland fairies dance at night. 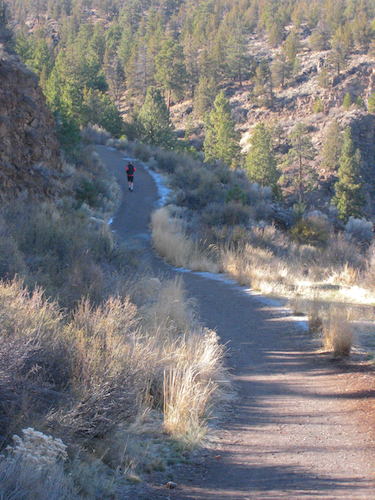 Beyond Sawyer Park, the trail climbs mildly to a beautiful section of trail that hangs high above the Deschutes River. Soon after paying homage to the Candy cane Gods, you will cross Archie Briggs Road, seen below. Beyond Archie Briggs, it is but a pleasant jaunt through scenic high desert scenery before you arrive at North Cliff Drive pictured below. 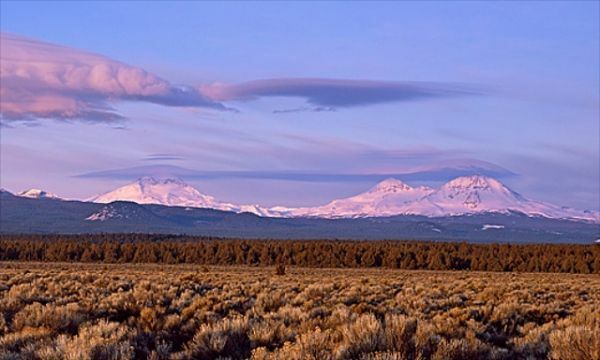 Keep going through the gates in the photo below as some of the best views in Bend await you beyond the gates. The scene below depicts the section of River from North Cliff Drive to Putnam Road. Enjoy the scenery as it only gets better. 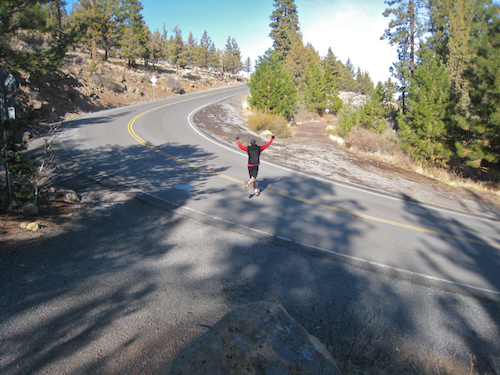 At the second magical, mystical candy cane formation(about 2.5 miles from the start of this run) peer off to the right(west) for this stellar view of Middle and North Sister high above the Deschutes River. Below is the view of the river itself from near this same location. 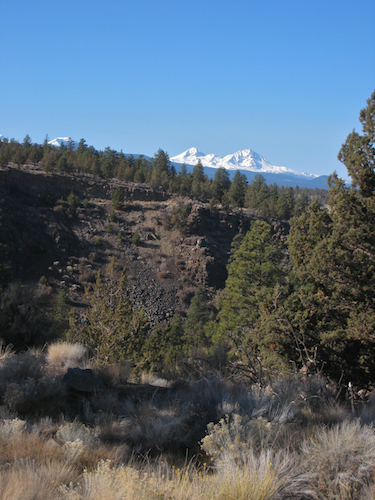 There are very few locations in Central Oregon that have views of the Deschutes River and and the Three Sisters Mountains from the same location. It really is pretty awesome and makes the run worthwhile by itself. 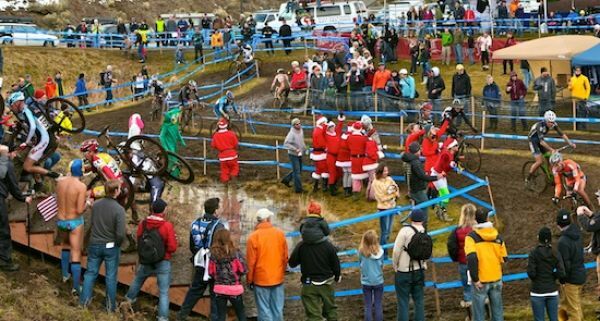 On this particular day, we opted for an out and back run stopping at the second of the two magical candy canes. If you continue o from this point, the running is sublime until the end of the River Trail at Putnam Road. If you follow Putnam Road until you reach Mt. 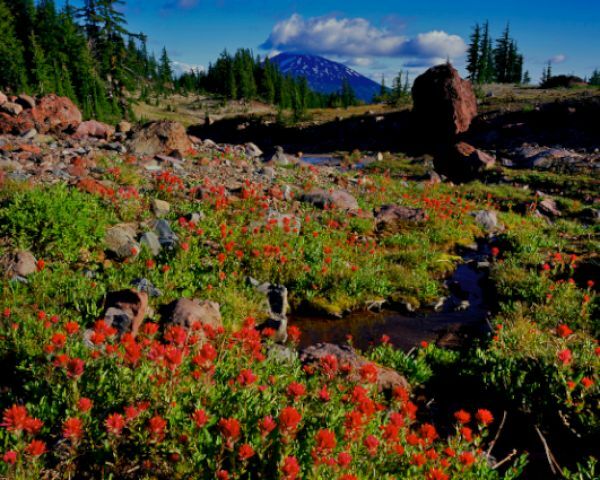 Washington, you can make an approximately 9.5 mile loop around Awbrey Butte. 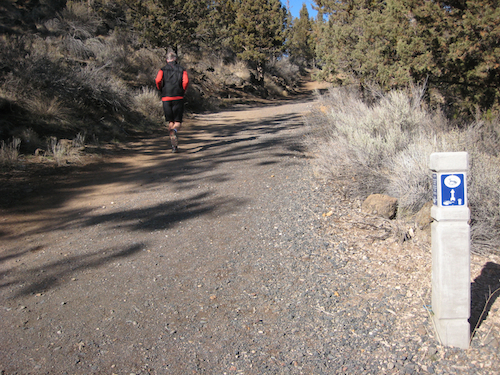 While this isn’t the most rugged run in Central Oregon, it’s proximity to Downtown( thereby eliminating a car drive to the trail head, a much loved option for the Bendwild staffers) it’s beautiful views, and it’s serene riparian terrain, make this one of the the trails which has made Bend, Oregon arguably the best Trail running cities in North America. Great article! Thanks for taking the time (and the pictures) to put it together. Keep rockin’ this web site–and thanks again for the great work! Thanks for the feedback and the suggestions. I’ll review the article a bit more thoroughly. Do you have a history in the editing world? While we are far from professional, we do try and any positive feedback is appreciated.